Passenger vehicle manufacturers across brands in India, including market leader Maruti Suzuki and Hyundai, have cut production sharply by 21 per cent to adjust to slowing demand. Maruti Suzuki and Hyundai command nearly 70 per cent of the market share in the world’s fifth and Asia’s third largest car market. Tepid festive season demand, Kerala floods, low consumer sentiment due to high interest rate, rising fuel prices and tight liquidity were cited by head honchos and analysts as key reasons for the slowdown. As a result, carmakers cut production by a whopping 20.94 per cent to 279,333 units last month, the latest data by Society of Indian Automobile Manufacturers (Siam), the apex lobby body, showed. Inventories at dealerships have also gone up to 10 to 12 per cent due to lack of pick up in the festive season and thereafter. Experts expect the actual volume growth of passenger vehicles for the current year to be somewhere closer to mid single digit instead of the double-digit forecasted earlier. In November, Maruti Suzuki, which sells one out of two cars bought in the country, cut production by 12.89 per cent to 134,149 cars. Hyundai, the second biggest car maker, slashed production by 29 per cent to 54,319 cars, Tata Motors by 22.93 per cent to 14,928 cars, Mahindra and Mahindra by 26.60 per cent to 12,901 cars, Toyota Kirloskar by 22.95 per cent to 11,141 and Honda Cars by 29.13 per cent to 8,818 cars. “It is a tough and challenging year for the car industry, which declined to 5.3 per cent in the January-November period from a high of 13.2 per cent clocked in the January-June period,” Puneet Anand, senior vice-president and group head, marketing, at Hyundai Motors India told Financial Chronicle. Also, brands reduced production and wholesale dispatches to dealerships during November-December since buyers wait for model year change of 2019, he pointed out. Honda Cars spokesperson said the car industry was facing a slowdown due to many reasons and the production cut was mainly to align with the market demand. “Our production was down mainly because our factory was shut down for five days during Diwali in November, whereas last year the festival fell in October,” she pointed out. “The passenger vehicles sales have slowed down over the last couple of months. The festive season sales in the current year have been weak compared to last year. 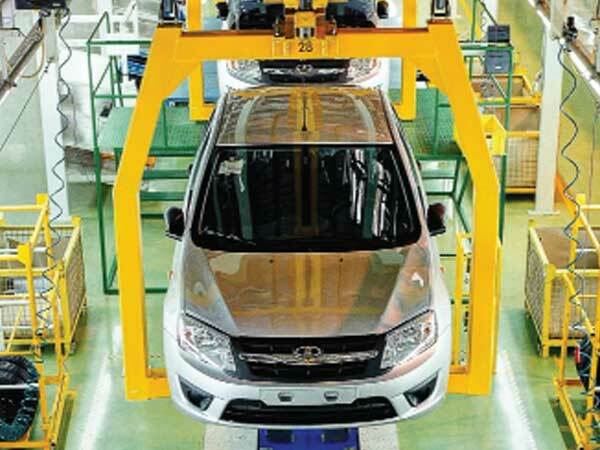 This has resulted in a relatively sharp cut back on production (20.9%) by automobile OEMs in the month of November,” said Subrata Ray, senior group vice-president at Icra Research. He said wholesale dispatches for the first eight months are marginally higher at 4.9 per cent year-on-year, in line with sluggish customer sentiments due to high fuel prices and rising interest rate. “Moreover, factors like floods in Kerala (during peak Onam season) also weighed on the overall growth rate,” Ray pointed out. “Overall, we are in the process of revising down our volume growth estimates for FY2019. We expect the actual volume growth for the year to be somewhere closer to mid single digit,” he said. Vishnu Mathur, director general at Siam, said most segments, including passenger vehicles, showed de-growth last month. “Largely, it is a situation where the industry is doing inventory correction by reducing production because the festival season was muted and dealers have leftover stock with them,” Mathur pointed out. “Also, as we near the end of the calendar year, the industry would like to minimise the inventory level,” he said.